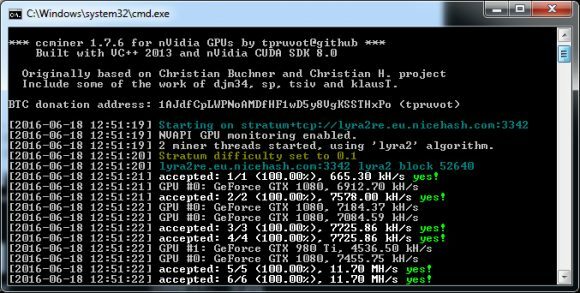 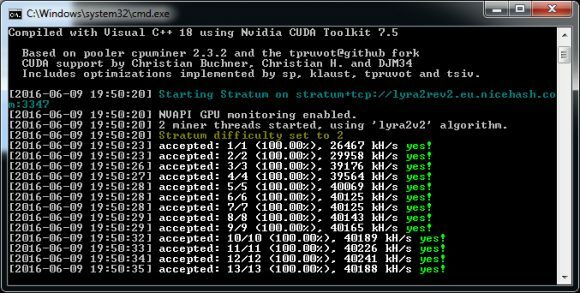 Nicehash has forked SP’s ccMiner 1.5.80 GPU miner for Nvidia MAxwell GPUs (source) and has added significantly improved support for the Lyra2REv2 algorithm that can apparently provide up to 100% increase in terms of performance. SO if you are mining a crypto currency that uses the Lyra2REv2 algorithm or are selling your hashrate on Nicehash, then you might want to go for the new miner. 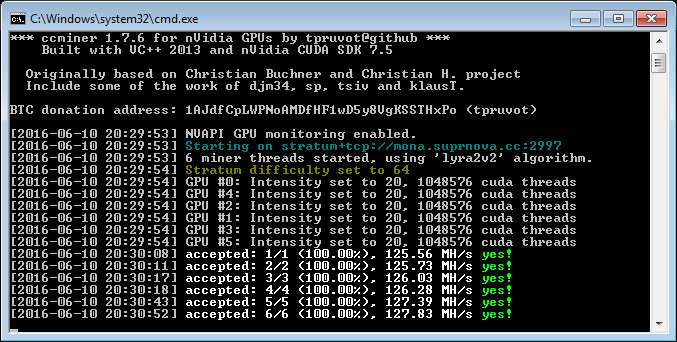 We have compiled a 32-bit Windows binary, using VS2013 with CUDA 7.5 that you can download and try. 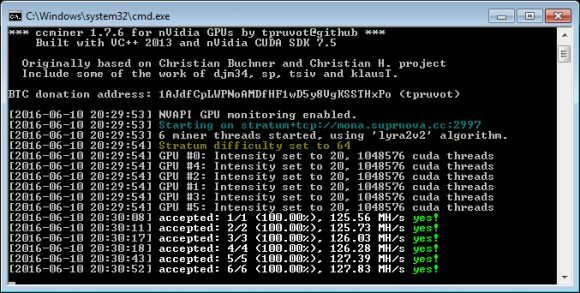 Do note that it is compiled only for Nvidia Maxwell GPUs supporting Compute 5.0 and Compute 5.2 such as GTX 750, 750 Ti, GTX 950 GTX 960, GTX 970, GTX 980, GTX 980 Ti and GTX Titan X.